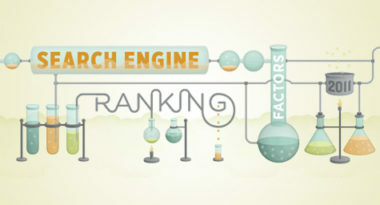 Search marketers have been anxiously awaiting the release of SEOmoz’s 2011 Ranking Factors Guide, which is an important reference on emerging and evolving factors in search marketing. HubSpot.com reviewed the large reference and highlighted the top three trends affecting the state of search in 2011. Trend 1 – The Direct Impact of Social Media on Search Results – As often repeated, social media signals on website pages appear to have enormous value. While previous data indicated that Facebook had a stronger correlation with high-ranking pages than Twitter, this new report revealed that most search marketers believed that tweeted links and the authority of the Twitter community was currently more important to social search than Facebook use. Either way, to take advantage of this valuable phenomenon, make it easy for users to share your content on social networks. Trend 2 – The End of Exact-Match Keyword Domains – While these used to be an extremely effective way to rank for specific keywords, their value has plummeted among search marketers, as well as Google. If you are currently on an exact-match domain for a generic phrase, protect your rankings by incorporating additional efforts that will support the natural ranking of your site. Trend 3 – The Addition of More End-User Usage Data in Search – Customer usage data has been used by Google for years as a way to glean insight into how and why people are using the search engine. Today, many SEO experts believe that Google will increase its usage of this important customer data as a way to reorder search results based on customer behavior. This new data is expected to set the tone for search marketing in 2011 and these three trends could significantly affect the digital directions of many major brands.